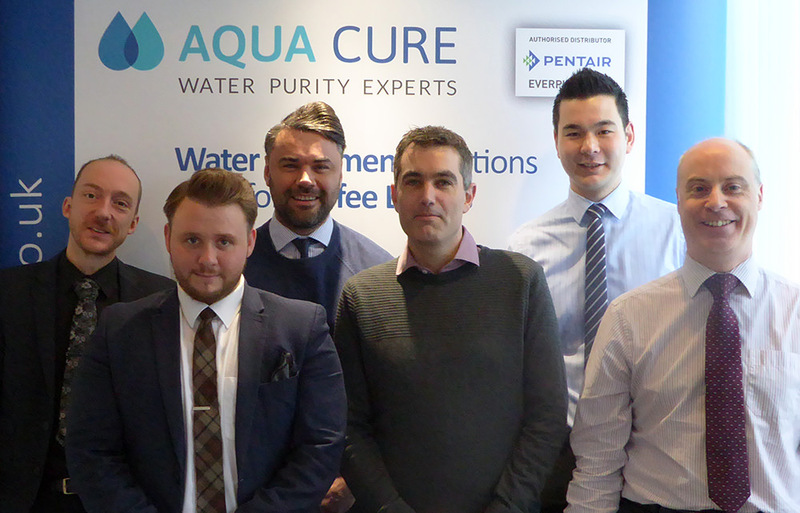 Water purity experts Aqua Cure Ltd has expanded its dedicated coffee team by recruiting Dan Pegrum as its new coffee business development manager. Dan will be promoting Aqua Cure’s water treatment products in the speciality coffee market, focusing mainly in the South and particularly in London. Dan knows the coffee industry well having joined Aqua Cure from Euro Food Brands Ltd where he’s spent the last 14 years working with big name food service brands like Illy Coffee. Dan’s appointment completes Aqua Cure’s dedicated coffee team alongside managing director David Parkes, business development manager Stuart Godfrey, assistant sales manager Adam Nicholson, e-commerce manager Peter Symonds and marketing manager Richard Stephenson, all of whom are heavily involved in Aqua Cure’s expansion into the coffee market. “Dan’s appointment demonstrates how seriously we’re taking the coffee market,” says Richard. “Particularly in the south of England – though the north is catching up – speciality coffee has some serious gourmet credentials with single origin coffees and different types of blend all vying for the attention of increasingly discerning consumers. As such, now is the perfect time to be informing the industry about the massive difference that water quality can make to the flavour of artisan coffee, as well as the savings limescale-free water can make in boiler efficiency. Having both Dan and Stuart out on the road will help us bring that message to a wider audience”.